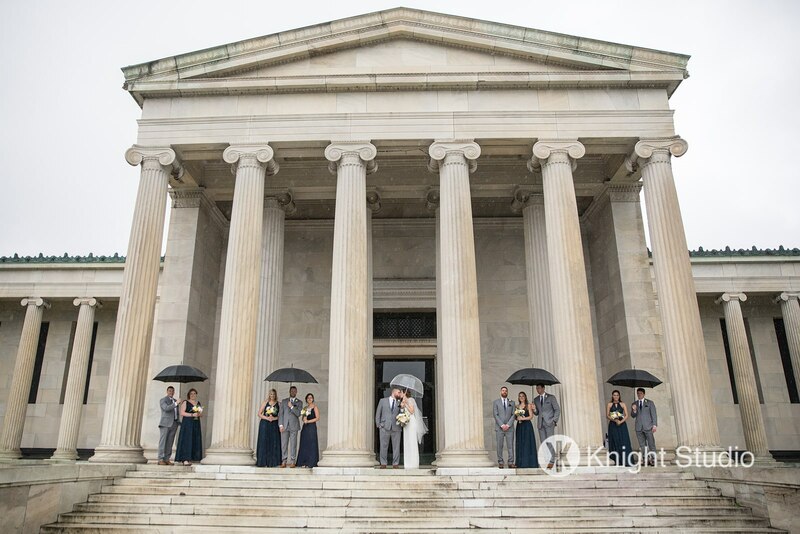 Andrea and Bill’s rose garden wedding at the historic Marcy Casino in Buffalo, NY is full of fun and celebration. No doubt the perfect blend of Andrea and Bill’s personalities, we can’t get enough of how playful, yet elegant it is! But what really got us is the look of absolute adoration on Bill’s face in the background while Andrea is getting her portrait photos taken. 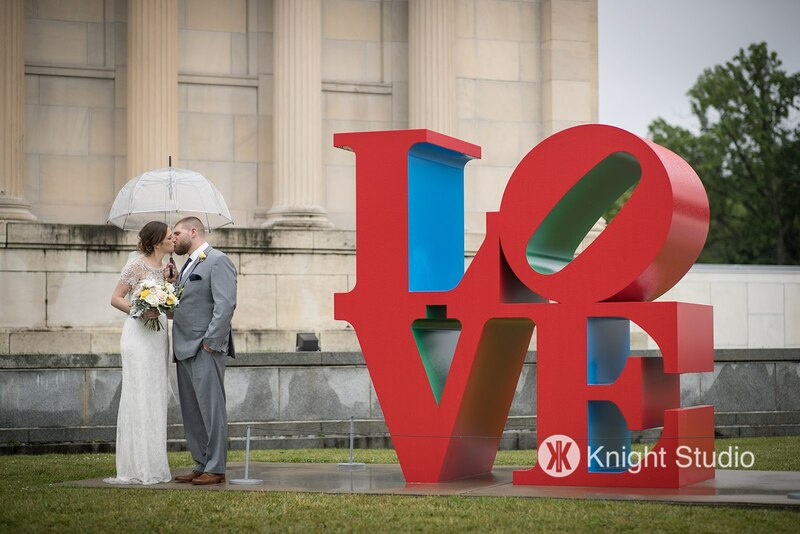 Check out their beautiful wedding below, and read about Andrea’s take on her big day! Looking back, while I didn’t know it at the time, the way Bill made me feel when we first started hanging out was an indication that we would spend the rest of our lives together. I had never felt so comfortable around someone whom I had just met, fully able to be myself. I felt safe and protected. No one else had ever made me feel that way, so I knew he was special. Q: What’s one of your favorite memories from when you guys were dating? One of my favorite memories is the day I returned from studying abroad for a semester in Madrid. Bill had told me that he wouldn’t be able to come see me until the week after I got back because of travel and I was really disappointed. When I landed at the airport and greeted my family, I felt someone come up behind me and put their hands over my eyes. I immediately knew it was Bill and I melted to the floor, so excited to be seeing him after spending 5 months apart. Everyone, including my family, was so emotional and thrilled that we were all able to spend time together that week. Q: Who was the most nervous on your wedding day? After being together for almost ten years and engaged for two and half, we were both excited and ready for our wedding day rather than nervous. Q: If you could relive any moment during your big day, what would it be? Any moment where we looked around the room and saw all of our favorite people from different aspects of our lives is something we’d want to relive over and over again. It meant so much to us to have everyone in the same place to celebrate with us, from extended family and childhood friends to college classmates and work colleagues. Our favorite part of the experience was planning the little details that showcased our personality. 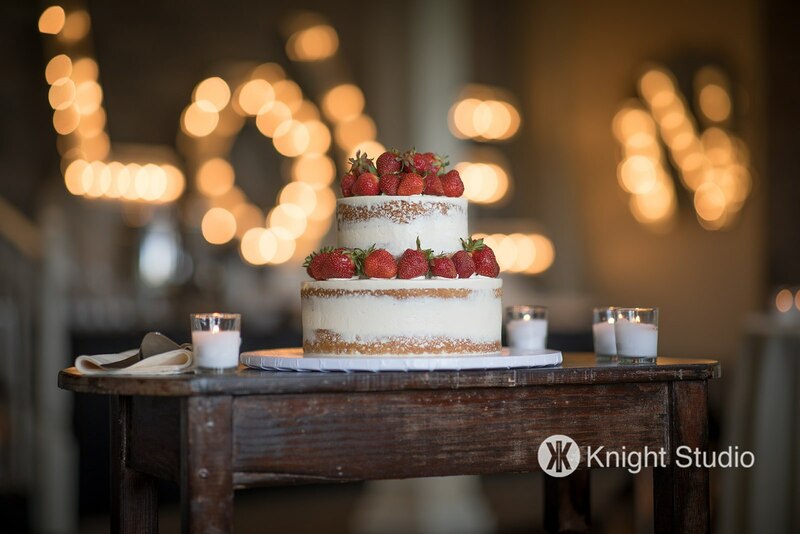 We had so much fun brainstorming ideas for favors (ours were small bottles of Franks Red Hot, a key ingredient in the famed Buffalo Wings recipe), guestbook (a framed record of the song we exited the ceremony to), dessert, and attendant gifts that expressed who we are as a couple. We were inspired by the school colors of our alma mater, University of Rochester, which are “Dandelion Yellow” and “Rochester Blue”. We wanted a more muted version of these colors, so we went with pale yellow, grey, and navy blue. The colors were Bill’s idea! 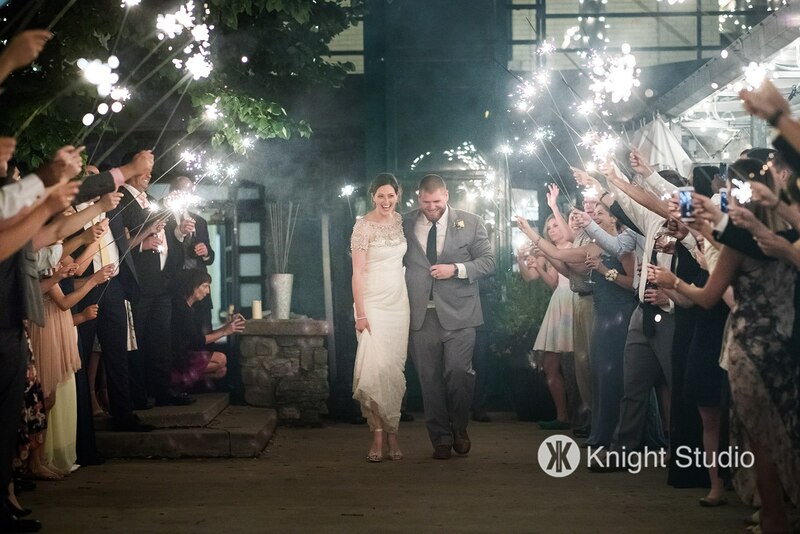 Our theme was centered around our venue, which had a simple, rustic elegance to it. Q: We’re so honored that you included us! 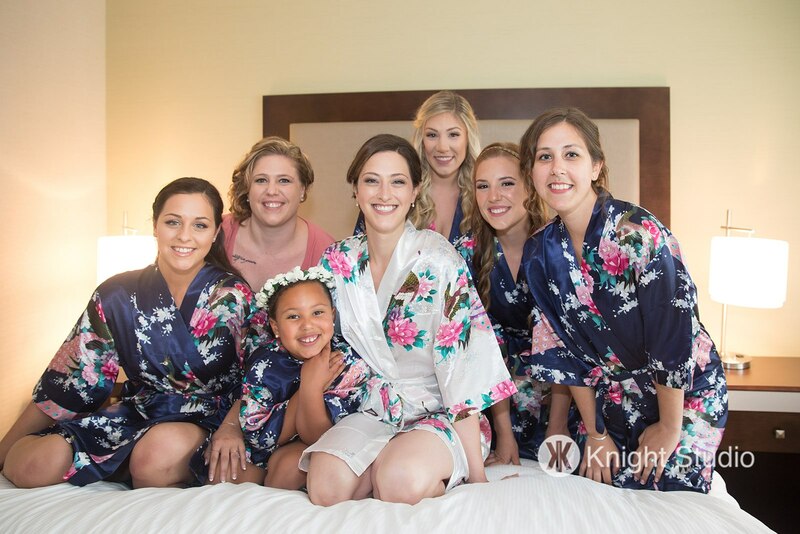 Why did you choose Azazie to be a part of your special day? I wanted my bridesmaids, who were my sisters and Bill’s sisters, to have a lot of options when picking their dresses. 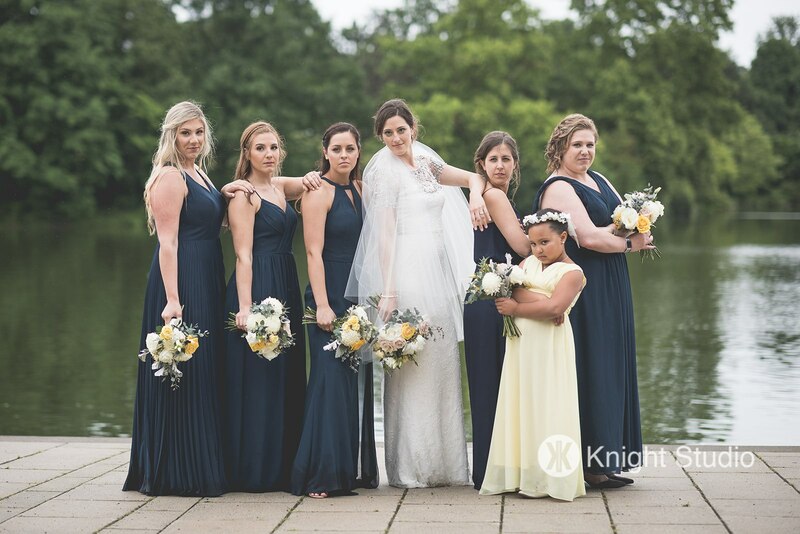 I pictured my bridesmaids in navy blue and loved the idea of mismatched dress styles to reflect each of my bridesmaids’ own tastes. Azazie had hundreds of styles in the perfect navy color that I had envisioned. 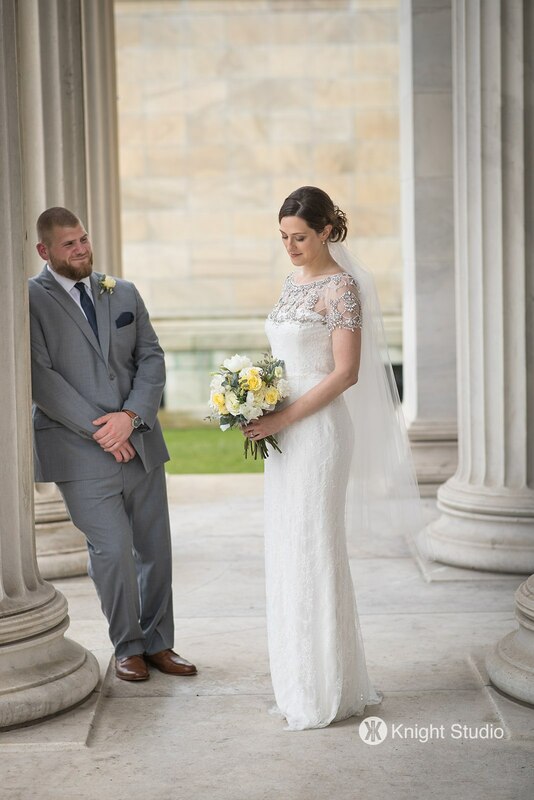 The try-at-home option made it easy for my ‘maids to find just the right style and size that would make them feel and look their best on our big day. 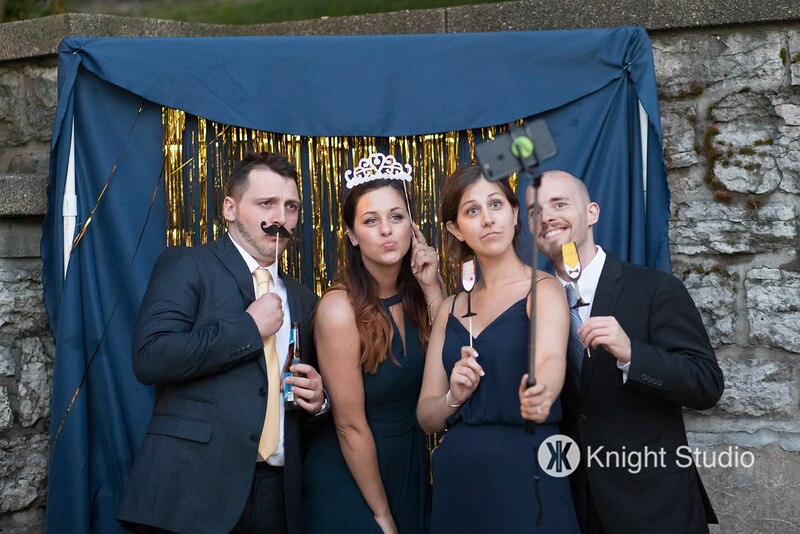 We had some general criteria when picking our venue. We knew we wanted a historic venue in the Buffalo, NY area with some kind of “view” (waterfront, hilltop, etc). On a quick weekend trip to Buffalo, we’d spent a whole day touring venues. Our venue came as a suggestion from my mom’s friend and was the last venue we toured, sort of on a last minute whim. 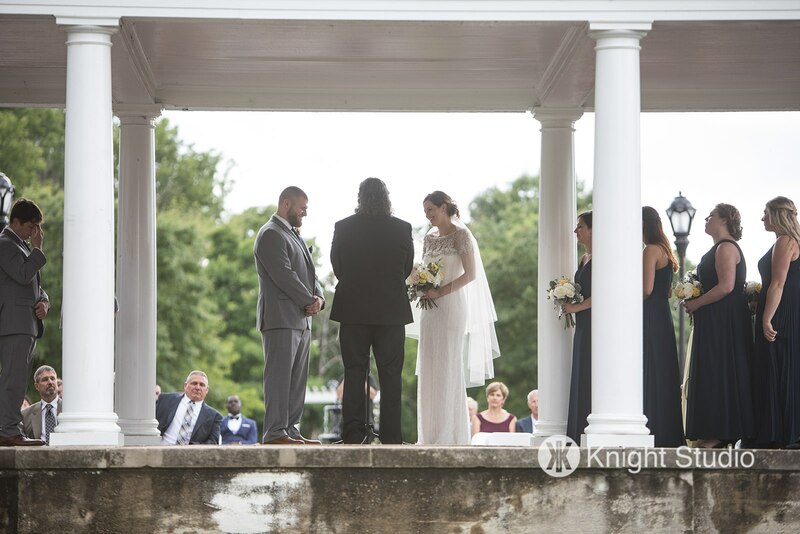 Even though we were tired and overwhelmed from the day, all of that seemed to disappear the moment we set foot in the aromatic, colorful rose garden where we held our ceremony, and the historic Marcy Casino overlooking Hoyt Lake where we held our reception. We knew right after leaving our visit that it was the perfect venue for us. As our wedding day got closer, things obviously started to get a little stressful. But there was a sense of welcome relief when I chose to just let go of little details that were stressing me out more than was actually necessary. In the end, the only people who will know if things didn’t go exactly as you had planned is you and your fiance. If you can let go of little things, definitely do so! Also, if people offer to help, let them! My friends offered to bring breakfast burritos to the bridal suite the morning of the wedding. It was such a treat and they were so excited to help and make the morning just a little bit easier for me. 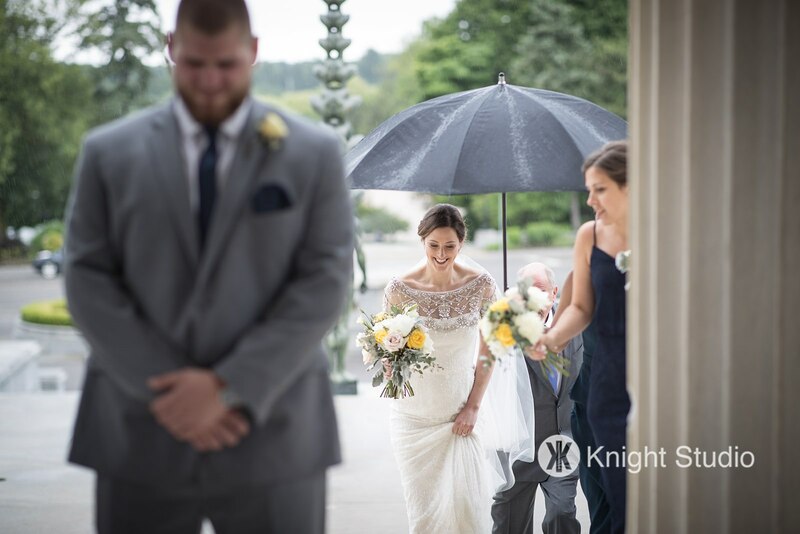 We are still smiling thinking about our wedding day just three months ago! Seeing our wedding vision come together into a perfect, joyful day is something we’ll never forget. Thank you to Azazie for being a part of that! 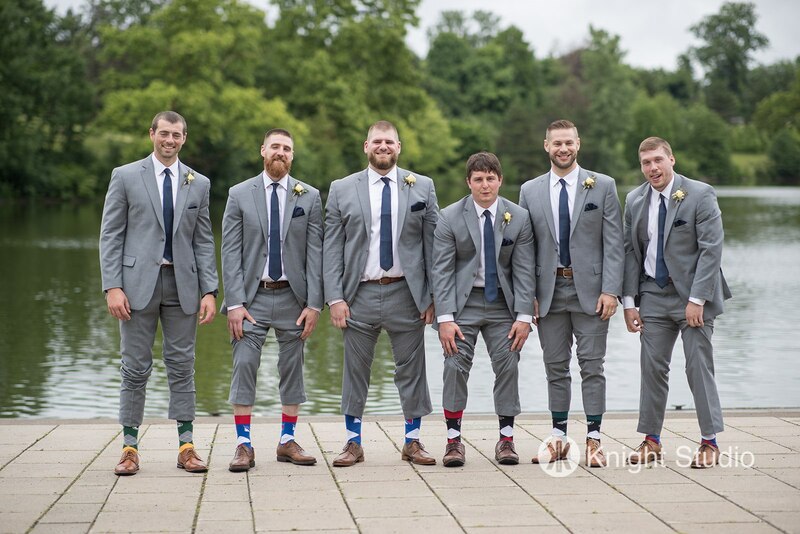 Steal Andrea’s bridal party’s look and shop Dark Navy Azazie dresses here! Want to be featured in our Real Azazie Wedding series? Tag us on social media using #Azaziechic to be considered!